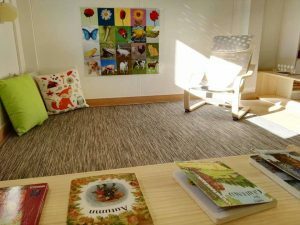 Montessori Village Maresme is a bilingual Montessori school for children from 0 to 6 years old in the village of Alella. The main characteristics of this pedagogy are to accompany and respect the individual processes of each human being, favouring a prepared environment, where the child feels free to discover and explore. The school is distributed in different open spaces, all well lit with different materials available to the children. In addition children have the opportunity to enjoy large outdoor spaces to play and explore freely. They also have a vegetable garden and a recycling and compost area to encourage environmental awareness.